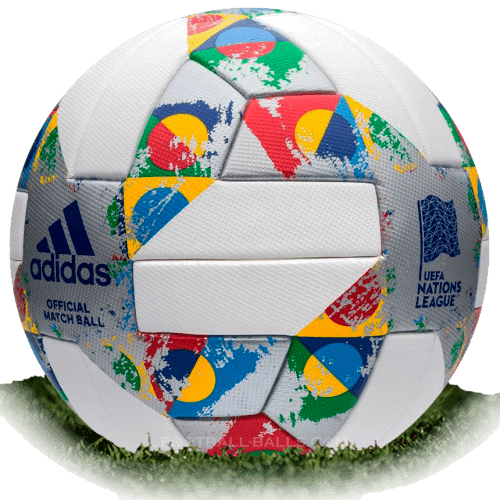 Adidas Nations League 2018/19 is name of official match ball of UEFA Nations League 2018/2019. The UEFA Nations League ball 2018/19 is white and silver with a bright design elements on the surface, based on the panel design of the Adidas Telstar 18. The design of the UEFA Nations League ball 2018 is inspired by the official UEFA Nations League branding and logo. Technically this is the same as the World Cup 2018 ball. 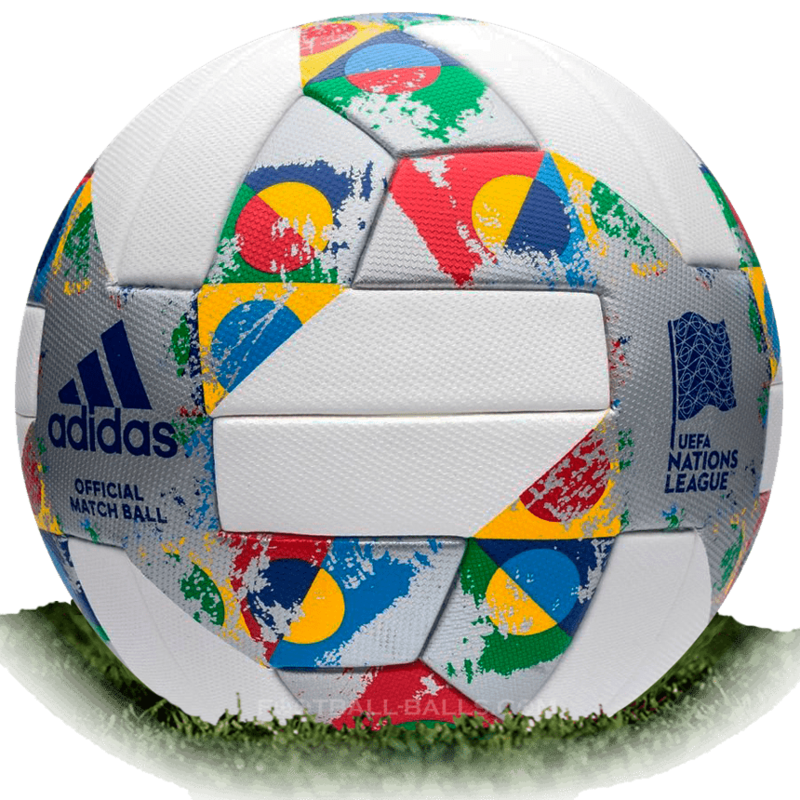 The Adidas Nations League 2018/2019 ball features a mono-panel design featuring metallic-specked, textured graphics. Each panel is the same size and shape to provide smooth. The UEFA Nations League 2018/2019 official match ball retails price 150 Euro, sells start in August 2018.